There's an old saying in the acting community as I once heard it, attributed to no less than Mark Twain: “It takes a genius to act like an idiot.” That possibly-apocryphal quote actually makes for a noteworthy blurb explaining Sony's new Wena Wrist, a smartwatch that actually looks a lot dumber than it is. The Wena Wrist recently cropped up on the First Flight crowdfunding platform, a place where Sony employees are encouraged to take projects worked on independently, and gauge them for potential market demand. So far no project has garnered a lot of interest, and previous entrants include a watch with e-paper functionality, a do-it-yourself smart project maker, and a new breed of smart remote. But the Wena Wrist is a little something different, a smartwatch that puts most of its technology not into the watch itself, but its strap. Short for “wear electronics naturally”, the Wena puts a near field communications (NFC) chip in its wrist that works on the FeliCa standard commonly seen in Japan. That lets it serve a variety of functions, ranging from a contactless payment system to a student ID card to even a means to allow access to buses and other public transportation. An LED system with seven-color capability offers notifications, as do vibrations, and there are even fitness tracking options. The watch will even offer protection against water for depth approaching 100 feet. The watch batteries are set to provide between three and five years' use, depending on the model of watch used, and the band will go about a week between charges. 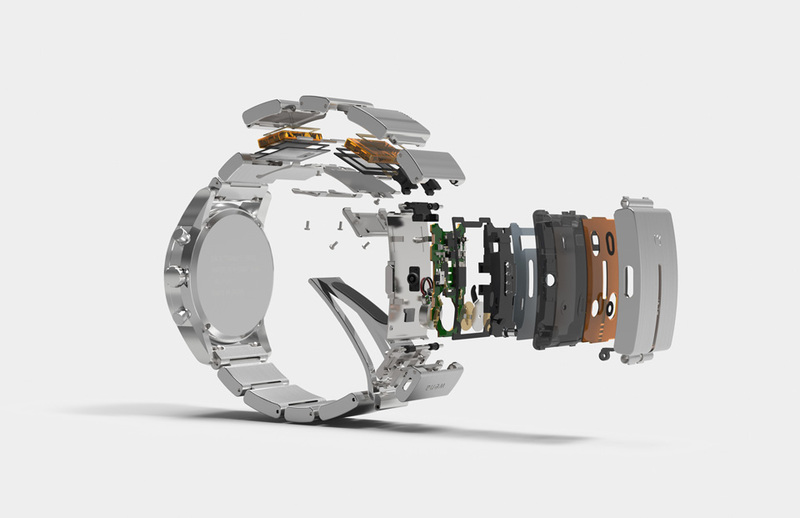 The watch body itself is partially from Citizen, which has plenty of experience in the watch-making field, but reports suggest that the band might ultimately work with any watch that conforms to the band's dimensions. Reports suggest that two styles are set to be available—the Three Hands for $287 and the Chronograph for $576. But both devices will reportedly only work with one phone: the iPhone. Yes, there's not one Sony-made phone that will work with a Sony-make watch, and that's a bit puzzling. This is a strange device by any stretch. It's not even really a smartwatch, so much as it is a smart watchband. But then, that's always been part of the appeal of wearable tech: just about anything that can be worn, from a watch band to a pair of glasses to a charm bracelet and beyond can be modified and turned into a useful, valuable piece of technology. The Wena Wrist has already demonstrated that wearable technology doesn't need to look technological. Rather, it needs to look stylish, and that seems to be the case here. It will be interesting to see if the Wena Wrist sparks interest or if this joins the growing slate of wearables that never catches fire. Still, a smartwatch that doesn't look smart might be that twist of irony some fashionistas crave.